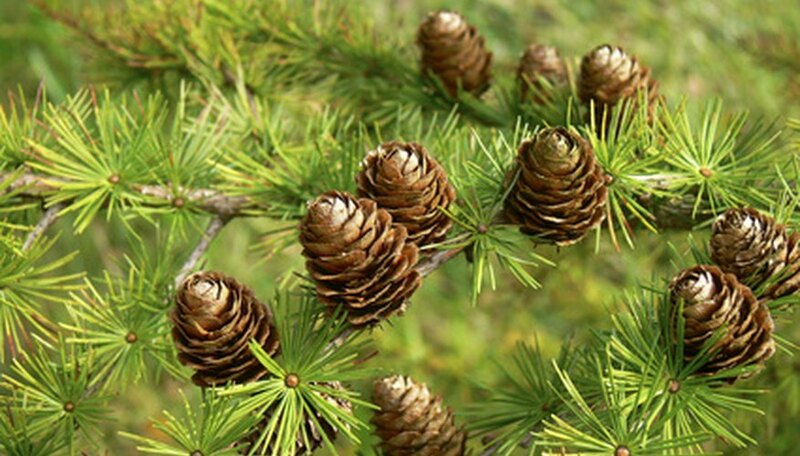 There are about seven varieties of spruce trees that are commonly found in North America. Spruce are generally very hardy trees that do well in all but the coldest conditions. But different varieties are better suited to specific climate conditions, so if you're selecting a spruce to plant, look at its suitability to your climate and the space you have available in your landscape. Black Spruce is a very hardy variety of spruce best planted in United States Department of Agriculture (USDA) Zones 2 through 5. Black Spruce grow to around 35 feet high with a 10-foot spread. They grow in height from 12 to 18 inches per year. Colorado Spruce grows well in USDA zones 2 though 6. It can reach a height of 60 feet in some cases, and grow to a spread of about 20 feet. Colorado Spruce are generally slower growing with an average growth of less than 12 inches per year. This variety has many different cultivars, ranging from smaller dwarfs to full-sized trees. Colorado Blue Spruce are very tall trees that can reach 135 feet in some cases. These tall trees can spread to widths of between 20 and 30 feet. Colorado Blue Spruce are suitable for USDA zones 3 through 8. Norway Spruce is a very cold hardy variety of spruce that grows in USDA zones 2 through 7. A medium-tall tree, the Norway Spruce grows to between 40 and 60 feet high, with a spread of between 25 to 35 feet. Norway Spruce can grow from 12 to 36 inches per year, depending on the climate and growing conditions. Serbian Spruce has a narrower planting range than most other spruces. This variety is best grown in USDA zones 4, 5 and 6. A medium-tall spruce, the Serbian can reach 55 feet in height and a spread of 20 feet in width. Serbian Spruce grows fairly slowly, averaging less than 12 inches per year. Sitka Spruce is suitable for USDA zones 5 through 8. Sitka Spruce can grow to be very large, with mature trees reaching between 125 feet and 180 feet with spreads of around 35 feet. Sitka Spruce are very long-lived, with some trees living up to 500 years. This fast growing tree is one of the tallest North American spruces. White Spruce is a medium-sized tree with many different cultivars. With a maximum height of 50 feet and a maximum spread of 20 feet, this tree is best suited to USDA Zones 3 through 6. This tree grows fairly quickly, with annual growth rates between 12 and 18 inches.